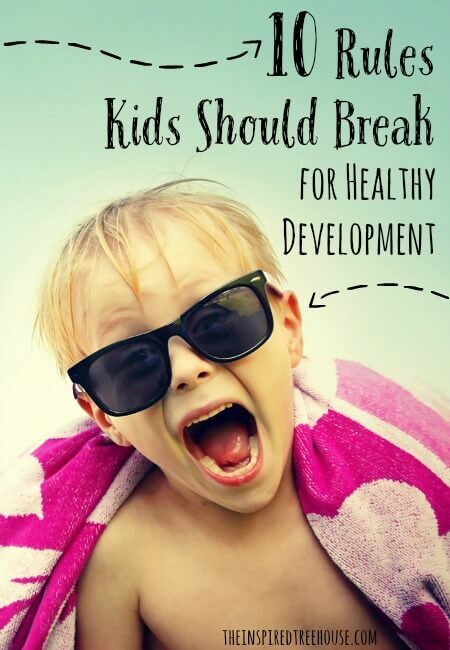 When it comes to kids’ growth and development, sometimes breaking a rule or two doesn’t hurt! Read on to find out why! By the end of a typical day, most parents, teachers, and caregivers are sick and tired of repeating “the rules”. Heck, even grandparents have to lay down the law at one time or another. Most of these rules use words like don’t, no, or stop and are designed to keep kids safe or to ensure that they act appropriately in public. But the truth is that many of the behaviors that we’re trying to extinguish in our kids are the very behaviors that help them grow, learn, and explore! So we’re inviting you and your kids to be rebels! Go ahead – question authority and break a rule or two today! When kids climb, whether it’s in the tree in the front yard or over the back of the couch, they are building all-over body strength, balance, and coordination. Climbing is also great for targeting the muscles of the hands, building strength for grasping. Climbing is “heavy work” (work against resistance), which provides calming and organizing input to the proprioceptive system. All of these things make climbing a virtual powerhouse of developmental skill-building! The best way to ensure that kids are getting the benefits of climbing? Go outside and then sit back and watch. We guarantee that your little ones will find their own creative ways to climb! Or try some fun climbing activities on the stairs! 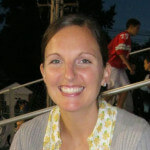 Off of swings, on the bed, off of furniture – jumping is a favorite pastime for most kids, and with good reason. When kids jump, they are getting a valuable vestibular experience. 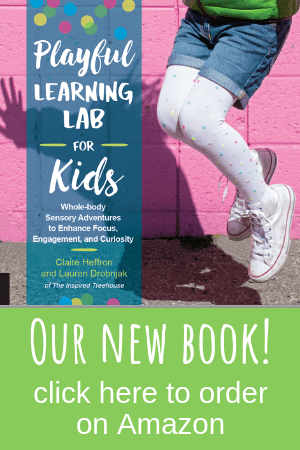 The movement of jumping shifts the fluid in the inner ear, giving kids information about where their head is positioned in space (spatial awareness). When they land (or even when they fall), kids receive powerful input to their muscles and joints, targeting the proprioceptive system. Jumping is also a spectacular way to work on coordination and balance and, again, allows kids to build all-over strength in their bodies (especially the core muscles and legs). Try jumping off of a raised surface like a bench or the bottom step, jumping on a trampoline, or play a fun jumping game! We all know a kiddo who just can’t seem to stop making noise. He sings, he hums, he makes noises with his mouth, he pounds on things, he taps on things – if it makes a sound, he’ll find a way to do it! Many kids need a little extra auditory input to help calm and regulate their sensory systems. Making noise is also just typical developmental behavior for most young children…and, it’s just plain fun! Listening to music, playing instruments, getting a little loud and crazy – all of these things mean that kids are being active and exploring their surroundings. So go for it! Make your own band, turn up the tunes and have a dance party, play with some musical toys, or see what kind of animal noises you can make! Even though there are places where kids simply have to keep their hands to themselves — art museum anyone? — tactile experiences like feeling objects and textures and being touched by other people are extremely important for healthy development. When your little ones are driving you crazy by touching everything they see, remember that they are getting valuable information by touching, holding, and manipulating the objects around them. What is it like to get dirty? How much pressure do I need to use to hold this object without dropping it? How big/heavy is it? What happens if I turn the object upside down? Be sure to set up lots of tactile play experiences for your child where he is allowed to make a mess, touch objects, and interact with materials any way he wants! This is a big one. While it can be irritating for us as adults to watch our child fidget right out of her seat at homework time, kids simply aren’t wired to sit still. The bottom line is that kids need to move! When they rock and sway in their seats and fidget with objects in their hands, they are giving themselves the vestibular, proprioceptive, and tactile input they need to function and attend. Plus, kids need movement experiences to help them build strength and motor skills. So forget sitting still! Get moving instead! Try these active learning games, get up and take a movement break during homework or classwork, and make sure kids are getting lots of time for active free play throughout the day! Most kids need time every day for a little tackling and wrestling. Why? Rough play provides tons of great opportunities for sensory and motor learning. During rough play, kids get to experience tactile and proprioceptive concepts like force, pressure, and weight. They get to scream and yell and laugh as loud as they want. They also learn important social concepts through rough play. How rough is too rough? What happens when someone gets hurt? And all the while, they’re building strength, balance, and coordination in a fun way. Not quite sure where to start? Try these fun rough house activities with your little one today! As adults, we’re programmed to think of running as disruptive and/or unsafe. But for most kids, high speed is simply the only speed. And running is only the beginning! Don’t forget about skipping, galloping, and hopping! Little ones need to move their bodies in all kinds of ways to develop motor skills, strength, and tolerance for a different positions. Try a fun new twist on tag or one of these classic backyard games. Another favorite rule of grown-ups. But you want to know the truth? Kids are a lot less fragile and a lot more clever than we give them credit for. They are built to fall and get back up again and most kids are great at taking risks that are exactly within the realm of their ability. Telling our kids to “be careful” plants a seed of doubt, decreasing confidence and limiting opportunities to explore and challenge themselves. Before long, kids can become too careful, avoiding sensory and movement experiences due to fear. Next time you’re tempted to tell your child to “be careful”, sit back and wait to see what happens. 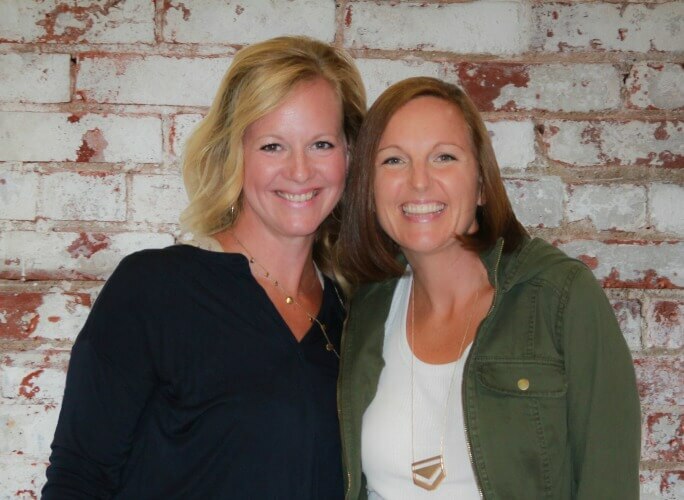 Chances are, your kiddo will surprise you! Learn more about why we should worry less and let our kids explore more! 9 || DON’T MAKE A MESS! Kids are great at making messes – they dump out bins of toys, they spill drinks, they play with their food, they unravel rolls of toilet paper all over the house. To us, it’s a mess. To kids, it’s hard work. Dumping out a bin of Legos? A lesson in cause and effect. Smearing pudding all over the table? An awesome tactile experience. Stomping muddy footprints across your clean kitchen floor? A great sensory motor session! Messy play is simply another opportunity for kids to learn about their bodies and to explore the world around them. And don’t forget the social and cognitive benefits they’ll be getting when they have to clean up after themselves! Try finger painting, shaving cream play, sensory dough, or couch cushion games! There are a million reasons to ditch this “rule”. Kids aren’t mini-adults. They need extra time to make transitions between destinations and activities, they need to be able to make mistakes and try again, and they often feel very driven to finish what they started. When we rush kids, they don’t get the benefits of all of these things. Next time you’re tempted to utter these words, simply take a breath and watch as your little one does things her own way – learning and growing all the while! 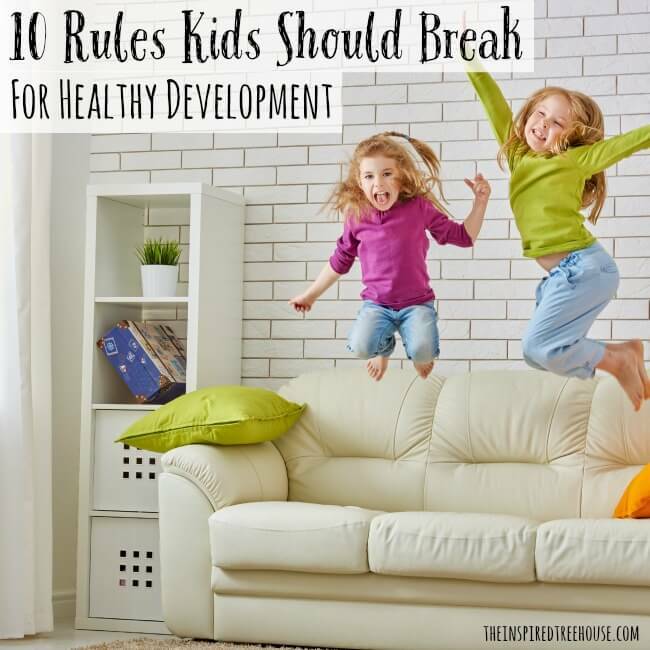 What are some other “grown-up rules” that have good intentions, but hinder kids’ development? Leave us a comment below or on our Facebook page! I like that you mention that kids should climb and jump around. I think there are so many worried mothers out there that actually make development harder for the child. It is just like letting the child develop skills for life. I think exposing them to a lot of adventure and fun would help them make more skills. I totally agree with these and have allowed my now 14 month old the freedom to explore and develop at his own pace. As a result he was walking by 10 months and is now an accomplished climber too. I try to allow him space to do it on his own but worry as when he gets to the top of the slide he can’t always get his legs out from under him without a wobble which causes me to panic. He really want him to be able to figure it out for himself but he seems very young still and has had several minor head bumps as a result of trips already. ..